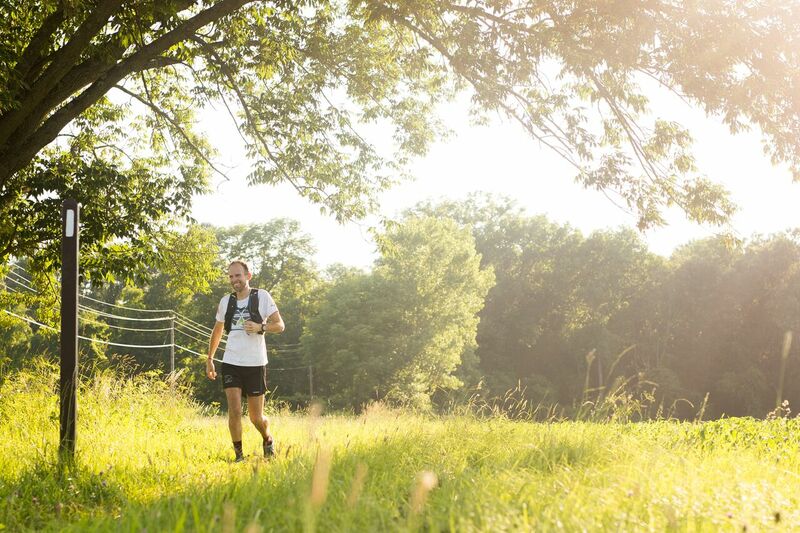 On July 18, Harvey Lewis finished his FKT attempt on the Appalachian Trail. His 49-day, 15-hour hike is the eighth fastest all time. Harvey started his supported attempt on May 30 with a crew helmed by his 78-year-old father. He averaged 44 miles a day while dealing with injuries, tropical rainstorms, heat waves, and all the endless miles of rocks the AT could offer. Image courtesy of Harvey Lewis and the Road iD crew. A couple of days after Harvey summited Katahdin and a few days before the ultrarunner races in Badwater (a 135-mile ultra in Death Valley), Harvey very kindly took the time to answer some questions about his favorite parts of the trail, the AT community, and which food item he thought obsessively about while running (If you’re a TL;DR type person, the answer is Whole Food’s chocolate cake). Did you have a favorite part of the trail? A least favorite? 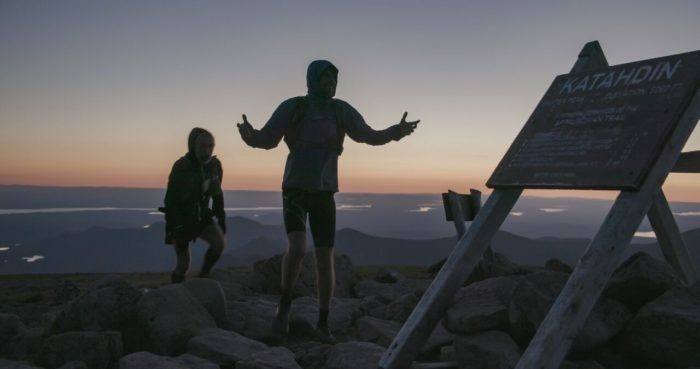 Favorite part – This is probably a frequent response from thru-hikers but I absolutely loved getting above the tree line in the Presidentials of the White Mountains, especially Lincoln to Carter. Least favorite – I heard a great saying about Pennsylvania that I completely agree with: it has some of the easiest and most difficult sections. The second half of PA lived up to its reputation as Rocksylvania. My feet were badly beat up and I kept stubbing my feet on the rocks and couldn’t generate much speed, as hard as I tried. The rocks felt a bit monotonous at times. The people were amazing in PA, especially a handful of trail angels, but I was really ready to get onward to New Jersey. Did anything about the AT or the journey surprise you? Everything. I had only covered less than 50 miles on four occasions across my life prior to this endeavor. It was exciting to see new surprises every day. I was surprised by the wildlife; seeing the bright orange salamanders that I loved seeing as a small child and hadn’t seen in over 35 years. The trail itself was a surprise. It was far more technical than I had envisioned and multiple times more difficult. The generosity of trail angels, camaraderie, as well as positive reaction to our journey from thru-hikers and the wider public were all surprises. A lot of supported FKT attempters have a loved one head their crew as opposed to someone with a running or thru-hiking background. Why do you think that is, and how valuable was it to you to have your father there day in and day out? Image courtesy of Harris Media Co. I can see the logic of both and value of both. Ideally, it would be best to have both people on your team. With my father I just lucked out in the biggest way. He knew I wouldn’t give up and I knew he wouldn’t give up on me. He knew what I needed with nutrition, knew my physical abilities, and knew what to say to spark my heart to stay in the game. I felt comfortable with my father. He was reliable. Even at 78 he was committed. If there was an emergency I don’t doubt my father would be the first one there no matter the location or difficulty of the trail. What kind of injuries did you have to deal with along the way? The injuries were probably the most difficult aspect of this type of endeavor. I fell over 100 times, believe it or not. It’s actually a bit miraculous I didn’t do anything worse. I had tendinitis below my shin. Largely due to the extreme grades but also I had tied my shoes far tighter than usual due to the extreme rains from Tropical Storm Alberto coming out of Georgia. That contributed. The second injury was again impacted due to the extreme vertical nature of the trail. My quad was extremely tight and pulled on a band in my lower knee. Both of these injuries I had never experienced and concerned me for my long-term wellness. I had three friends who are massage professionals visit me and helped me surprisingly overcome them in a week. I had perhaps seven to eight massages during the journey and I believe each was either in a tent or off the trail a ways in one of our encampments. The third major injury I experienced was due to a fall where I landed with my quad directly on a rock. It was extremely painful but largely passed in a couple days. 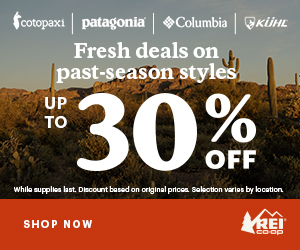 Would you ever considering attempting another FKT on the AT or another long trail? If so, what did you learn from this attempt that you would apply to your next go? I like the saying “never say never.” I love adventure and I’m always interested in exploring. I would probably want to experience a different trail but I wouldn’t rule it out. Pacing is very difficult for this sort of event, especially for a rookie of the distance. I would try to be more patient and relaxed with the daily distances earlier in the journey. I had elevation profiles but I didn’t have strong information on the character or difficulty of each section. I would probably start using my poles more in the beginning. Your team joked your father sometimes chided you for spending too long talking to other hikers, and from following your social media, I know you often tried to meet up with hikers along the trail, including the Crawfords. How was engaging with the AT community important to you? I don’t remember my father commenting on it but certainly a couple of my crew gave me friendly reminders. I certainly was going for the FKT and I’m not trying to spin that but in the end some of the greatest pieces of what I will carry for life were those encounters on the trail. The conversations were engaging and inspiring. Often having a positive encounter spurred me on faster. The day I met the Crawfords I ran 48 miles and was my highest-mileage day in the final quarter. I was thinking of the kids and just how happy they seemed, along with that we all run the Cincinnati Flying Pig Marathon. I was running strong all the way into the close of that day. My father really loved the encounters with the hikers as well and often served as a trail angel, providing some watermelon, Clif Bars, or drinks for hikers. I think the experience sharpened his cognitive and physical skills. He’s giddy like a kid and easily feels ten years younger. When I thru-hiked last year, I spent most of my time on trail vividly picturing what my first meal was going to be when I got home. What was your first post-hike meal? First, congratulations! I have the greatest respect for anyone who thru-hikes the AT. It’s far tougher than completing a marathon as well as most ultramarathons and I think that’s quite an accomplishment as well. First, I dreamed most of a warm bath and a bed in a hotel. We actually left immediately after climbing Katahdin to drop my crew member and friend Alann off at the Portland airport. It was a bumpy ride in the cot in the back of the van. But I dreamed of a shower/bath and bed for days before the finish. We eventually stopped the next evening in PA on the way back to Ohio. It was only a two-hour turnaround so didn’t really get to eat anything at home other than stops at Chipotle and Panera on the drive back. I was dreaming of a vegan chocolate cake from Whole Foods and the salad bar. On the way to Las Vegas now for the Badwater 135 Monday so still longing for that trip to Whole Foods, even though I know it will be pricey. There is a good one on the Vegas Strip. You’re running Badwater less than a week after your summit date. Are you crazy or do you have bionic knees? I may be a bit crazy and overzealous. I may have thought it once or twice on the trail “what in the world did I get myself into” with a smile. I have no expectations for Badwater. I do feel I recover quickly with plant-based foods, Epsom Salt baths, rest, and active, gentle recovery runs, among other things. I’m really not sure how it will all play out. I hope to finish even if last. You can follow Harvey on Facebook here and Instragram here for Badwater updates and undoubtedly more adventures. Featured Image courtesy of Harris Media Co. I couldn’t agree more. So why is it that more people don’t realize — or in some cases, acknowledge — the sheer physical challenge that the AT poses? It is, mile for mile, so much harder than any hiking I’ve ever done in the Rockies or Sierra Nevada.